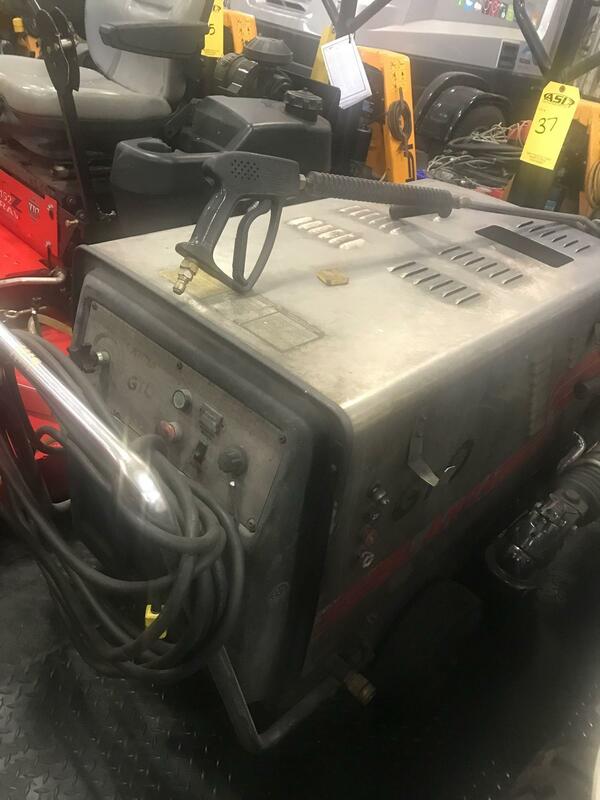 In ONLINE EQUIPMENT AUCTION IN TAMPA, FL. Unfortunately, your registration has been declined by the auctioneer. You can contact the auctioneer on 813-616-8567 for more information. You are the current highest bidder! To be sure to win, come back on Jun 11, 2018 11:40 EDT (16:40 BST) Date Format as the lot closes or increase your max bid. 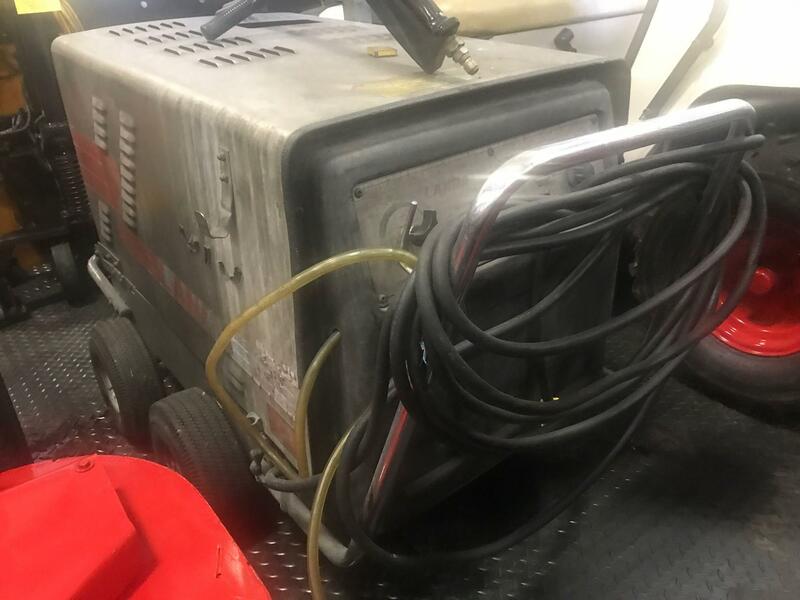 ONLINE EQUIPMENT AUCTION IN TAMPA, FL. BUYERS MUST ARRANGE ALL SHIPPING AT THERE OWN EXPENSE. $50 PALLET FEE-PER PALLET IF YOU REQUEST FOR US TO PALLETIZE YOUR ITEMS. IF YOU NEED HELP WITH ARRANGING YOUR SHIPPING, FEEL FREE TO GIVE US A CALL. ALL PAYMENTS MUST BE RECIEVED BY WEDNESDAY, JUNE 13TH BY 4:00 P.M. EST. THE ONLY PAYMENTS WE WILL ACCEPT ARE BANK WIRE TRANSFERS, BANK CERTIFIED CHECKS, & CASH. NO CREDIT CARDS. REMOVAL DEADLINE IS THURSDAY JUNE 21ST BY 4PM EST. REMOVAL IS BY APPOINTMENT ONLY. ** IF ITEMS ARE NOT REMOVED ON OR BEFORE THURSDAY, JUNE 21ST AT 4PM, THEY WILL BE CHARGED A $50 STORAGE FEE PER DAY/PER ITEM. YOUR ITEMS WILL NOT BE RELEASED IF STORAGE FEES ARE NOT PAID FOR. ALL ITEMS WILL BE CONSIDERED ABANDONED/FORFEITED IF NOT REMOVED WITHIN 30 DAYS FROM AUCTION DATE. NO EXCEPTIONS. ASI3 LLC HAS THE RIGHT TO RESELL ALL ABANDONED/FORFEITED ITEMS TO RECOVER LOSSES. ALL BILL OF LADINGS MUST STATE THE BUYERS NAME AS THE SHIPPER WHEN ITEMS ARE BEING SHIPPED/TRANSPORTED. A BILL OF LADING WITH ASI3 LLC'S NAME AS THE SHIPPER WILL NOT BE ACCEPTED. PLEASE BE SURE TO HAVE THIS CORRECTED BEFORE YOUR TRUCK ARRIVES ON SITE. All items with a title will have a $90 title fee added to the invoice. All items sold that are titled within the state of Florida and are sold to Florida residents/companies will be subject to all registration fees, license plate fees, and any or all othe applicable fees. ASI3 LLC will not be responsible for ANY fees associated with titled vehicles/boats/trailers. The buyer must pay ALL fees. All applicable taxes will be added to the invoice total. There will be a 18% buyers premium added to the hammer price of the item. PAYMENT AND BIDDER AGREEMENT The following, as amended from time to time, including by posted notices or announcements during the sale, constitutes the entire terms and conditions, subject to any terms and conditions of, on which lots listed in the online catalog shall be offered for sale or sold by ASI3 LLC. PLEASE READ THIS AGREEMENT IN ITS ENTIRETY BEFORE BIDDING ON ANY ITEMS. AS YOU HAVE ACKNOWLEDGED BY AGREEING TO THE TERMS AND CONDITIONS LISTED BELOW OF THIS AUCTION, THERE ARE NO REFUNDS OR EXCHANGES. IN THE EVENT THAT YOU REQUEST AND ARE GRANTED BY ASI3 LLC, A RETURN OR REFUND, YOU AGREE THAT YOU ARE STILL RESPONSIBLE FOR PAYING A 18% BUYERS FEE BASED ON THE HAMMER PRICE OF EACH ITEM THAT IS RETURNED, LESS APPLICABLE TAXES, PLUS THE ENTIRE BUYER’S PREMIUM FOR EACH ITEM AS WELL AS ALL OF THE SHIPPING/HANDLING CHARGES. ACCORDINGLY, THE RESTOCKING FEE, BUYER’S PREMIUM, AND ANY SHIPPING AND HANDLING COSTS ARE NEVER ELIGIBLE FOR A RETURN OR REFUND. IN THE EVENT THAT YOU REFUSE PAYMENT FOR A WINNING BID YOU WILL BE SUBJECT TO A 18% LIQUIDATED DAMAGES CHARGE OF THE HAMMER PRICE AS MORE FULLY DESCRIBED BELOW . Any ASI3 LLC auction is conducted under these terms and conditions and applicable state, federal and local law. Any person participating or registering for an ASI3 LLC auction agrees to be bound by and accepts these terms and conditions. ASI3 LLC herein refers to and includes, the company, its representatives, officers, directors, stockholders, members, managers, employees, consultants, agents, and affiliates. Any announcements or corrections made during a specific auction supersede the terms of this Payment and Bidder Agreement for such auction. THIS AGREEMENT BINDS YOU TO ARBITRATION AND BY AGREEING TO THE TERMS HEREIN YOU ARE GIVING UP YOUR RIGHT TO BRING A LAWSUIT AGAINST ASI3 LLC. BY BIDDING, THE BIDDER AGREES TO ASI3 LLC SHIPPING AND HANDLING POLICY AND OTHER CHARGES, WHETHER KNOWN OR NOT TO BIDDER AT THE TIME OF BID. BIDDER FURTHER AGREES THAT NEITHER DELIVERY OF AN ITEM AFTER THE DATE DESIRED OR EXPECTED BY BIDDER OR LOSS OF AN ITEM BY A THIRD-PARTY DELIVERY ENTITY GIVES RISE TO A CAUSE FOR A CHARGEBACK CLAIM AND BIDDER SPECIFICALLY AGREES TO REFRAIN FROM THE FILING OF ANY SUCH CLAIM. TERMS AND CONDITIONS OF SALE: • All items are sold AS IS, WHERE IS WITH ALL FAULTS. ALL SALES ARE FINAL - NO REFUNDS AND NO EXCHANGES. WE AND THE CONSIGNOR, AS APPLICABLE, DISCLAIM ANY AND ALL WARRANTIES, EXPRESSED OR IMPLIED, INCLUDING BUT NOT LIMITED TO THE IMPLIED WARRANTY OF MERCHANTABILITY OR FITNESS FOR ANY PARTICULAR PURPOSE. NO WARRANTIES ARE MADE THAT ANY OF THE MERCHANDISE COMPLIES WITH ANY APPLICABLE GOVERNMENTAL RULES, REGULATIONS OR ORDINANCES OF ANY KIND OR NATURE WHATSOEVER. All items are available for inquiries prior to bidding. Written and oral descriptions are the opinions of ASI3 LLC, and should in no way be construed as a guarantee of any kind as to authenticity, age, condition, materials or any other feature of items being sold. ASI3 LLC believes to the best of its knowledge that the information presented in any auction has come from reliable sources. However, such information is presented solely for the convenience of the prospective purchasers. ASI3 LLC attempts to catalog every lot correctly and will attempt to point out any defects but will not be responsible or liable for the correctness of the catalog or other descriptions of the lot. It is the responsibility of prospective bidders to examine all items in which they have an interest. By placing a bid, in any capacity, you signify that you have examined the items as fully as you desire and have had the opportunity to ask questions and receive answers from ASI3 LLC that you deem adequate. If you require absolute certainty in all areas of authenticity, and the results of your evaluation leave uncertainty in your mind, do not bid on the lot in question. • Neither ASI3 LLC nor the consignor, as applicable, make any warranties or representations of any kind or nature with respect to property or its value, and in no event shall be responsible for the correctness of description, genuineness, attribution, provenance, authenticity, authorship, and completeness, condition of property or estimate of value. Any appraisals, Estimates (as defined herein) or evaluations provided are solely for the convenience of the bidder and ASI3 LLC makes no warranties of any kind relating to them. The terms Estimate or Estimated Value (collectively “Estimate”) as used herein may be an arbitrary value and may fail to represent an actual resale value, insurance replacement value, or cost of similar goods. Similarly, no Estimated Value should be considered to represent the actual resale value, insurance replacement value, or cost of similar goods. No statement (oral or written) shall be deemed such a warranty or representation, or any assumption of responsibility. In no circumstance will a vastly different appraisal or estimate of any third-party given on behalf of a purchaser in a ASI3 LLC auction be grounds for a return, cancellation or refund. All measurements given are approximate and within industry standards and customs. • In no event shall ASI3 LLC'S liability for any breach, or act or omission exceed the Purchase Price (as defined herein) actually paid by the buyer, and in no event shall ASI3 LLC have any liability under any circumstances for special, indirect, incidental or consequential damages (including for loss of profits or revenue, costs of obtaining alternative property, claims of customers of buyer or otherwise), whether in contract, tort, negligence, strict liability, or otherwise, arising out of, resulting from or in any way relating to the lot or its purchase, sale, delivery or non-delivery, or the acts or omissions of ASI3 LLC. • The successful bidder is the highest bidder acknowledged by ASI3 LLC. In the event of any dispute between bidders, or in the event of doubt on ASI3 LLC part as to the validity of any bid, ASI3 LLC will have the final discretion either to determine the successful bidder or to re-offer and resell the article in dispute. If any dispute arises after the sale, ASI3 LLC sale record is conclusive. While ASI3 LLC makes every effort to guarantee accuracy, in the event of a mistake on the part of auctioneer, and a lot is accidentally declared sold by mistake of the auctioneer, ASI3 LLC reserves the right to cancel the sale and relist the lot in its sole discretion. Bids may be received byASI3 LLC through the internet, telephone, facsimile, or e-mail. Bidding through a telephone, facsimile, or e-mail are only available to pre-qualified dealers or resellers. If you desire to qualify as a qualified dealer, please contact one of our dealer development specialists to receive an application. Approval as a qualified dealer is at the sole discretion of ASI3 LLC and requires a bank approved line of credit that is reviewed and approved by a dealer development specialist at ASI3 LLC. • All bids are subject to (i) a non-refundable 18% buyer's premium which shall be added to a successfully placed bid upon sale of each lot, (ii) any applicable local sales tax, and (iii) shipping and handling costs that are more fully described in the section entitled “Shipping and Handling” below (collectively, the “Purchase Price”). For all residents of Florida or shipments to Florida, applicable sales tax will be added to your invoice. Any bidder that represents a purchaser is personally and individually responsible for any obligations of the purchaser set forth in these terms and conditions. All purchasers purchasing pursuant to a valid resale license will need to provide appropriate documentation for removal of state sales tax. • The bidder assumes full responsibility for items at the fall of the hammer (or expiration of time in an online auction). A bid entered by mistake on the part of a bidder is NOT grounds for a cancellation of the bid. Each bidder is responsible for his or her own account and bids. By allowing access to another who enters a bid without your knowledge will NOT be grounds for a rescission of the bid(s). Therefore, any bid made on your account will bind you to the bid in accordance with these terms. If an entity places a bid on a lot, then the person executing such bid on behalf of the entity hereby agrees to personally guarantee payment for any successful bid. • Bidder's bid at all times represents an irrevocable offer by bidder to enter into a binding contract to purchase the lot in accordance with the specific provisions of the listing and these general terms and conditions, as applicable, even if a higher bid was received by ASI3 LLC. In the event that any reserve price of a lot is not exceeded by any bidder's bid, ASI3 LLC, in its sole discretion, with or without the knowledge of or notice to any bidder, may reduce any reserve price to an amount below the bid of bidder at any time during an auction and accept the bid made by bidder. Reserve prices are always the confidential information of ASI3 LLC and are not disclosed to bidders unless specifically stated as such during bidding. Nothing contained in any listing shall be construed to disclose any reserve price. In the placing of any bid the bidder understands and agrees that the bid, once accepted by ASI3 LLC, will be the winning bid if there is no higher bid by another bidder and if any reserve or reduced reserve on the lot is exceeded by the bid. All bids are binding, irrevocable and non-cancelable by bidder. ASI3 LLC has final discretion on sale of a lot. The decisions of ASI3 LLC are final. In the unlikely event that we lose our internet connection, ASI3 LLC reserves the right in its sole and absolute discretion to cancel the remainder of the auction. • PAYMENT: We accept bank wire transfers, personal or company check, cashier's check, money order. International invoices over $25,000 require a wire transfer. For items purchased online, you will be emailed an invoice within 24 hours after the auction. 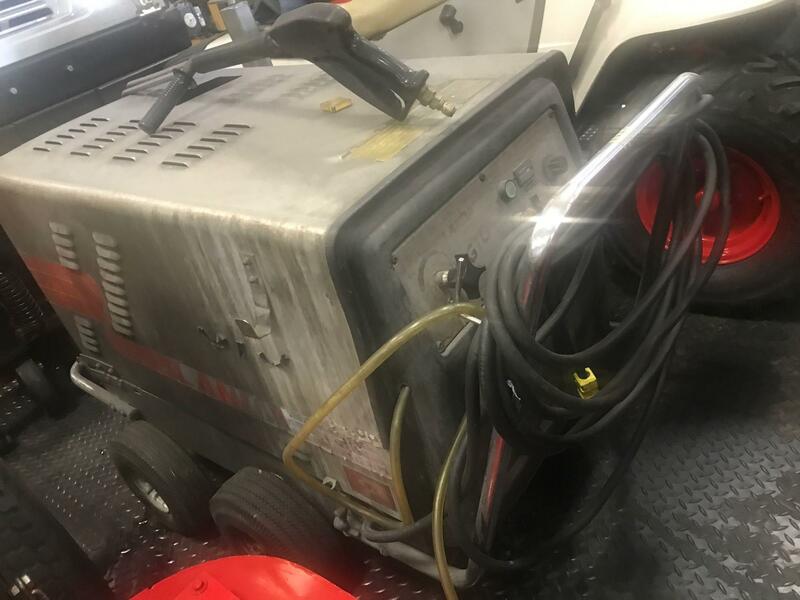 It is your responsibility to contact ASI3 LLC at (727) 365-3899 or email ASI3 LLC at ASI3AUCTIONS@gmail.com if you do not receive an email within 24 hours of auction close. If paying by check, money order, or cashier's check, ASI3 LLC reserves the right to hold all purchases until the check has cleared to the satisfaction of ASI3 LLC and its bank. If we are prevented by fire, theft, or any other reason whatsoever from delivering any property to the purchaser, our liability shall be limited to the sum actually paid, by the purchaser for such property. IF IN ITS SOLE DISCRETION ASI3 LLC AGREES TO REFUND A PURCHASE YOU WILL BE CHARGED A 18% RESTOCKING FEE OF THE HAMMER PRICE AND YOU WILL STILL BE RESPONSIBLE FOR SHIPPING AND HANDLING FEES AS WELL AS RETURN SHIPPING. THE PREVIOUSLY PAID BUYER’S PREMIUM IS NOT REFUNDABLE. PLEASE BID RESPONSIBLY AND DIRECT ANY QUESTIONS YOU MAY HAVE PRIOR TO PLACING A BID. • DAMAGES: IN THE EVENT THAT YOU BID AND ARE DEEMED THE WINNER OF AN ITEM BY ASI3 LLC , BUT FAIL TO MAKE PAYMENT IN ACCORDANCE WITH THE INVOICE SENT TO YOU OR CLAIM A DISPUTE WITH ANY THIRD-PARTY PAYMENT INTERMEDIARY, SUCH AS A CREDIT CARD COMPANY, YOU WILL BE ASSESSED A DAMAGES CHARGE OF 18% OF THE HAMMER PRICE. BY BIDDING ON ANY SUCH LOT YOU HEREBY AGREE TO THE PAYMENT OF SUCH DAMAGES AS A RESULT OF THE LOSSES SUSTAINED BY ASI3 LLC. FURTHERMORE, IN THE EVENT THAT A WINNING BIDDER FAILS TO MAKE ANY PAYMENTS UNDER THESE TERMS AND CONDITIONS, INCLUDING THE DAMAGES DESCRIBED HEREIN, WE RESERVE THE RIGHT TO REPORT SUCH NONPAYMENT TO CREDIT AND COLLECTION AGENCIES IN OUR SOLE DISCRETION. • ASI3 LLC reserves the right to reject any bid at any time and at its sole discretion. ASI3 LLC additionally reserves the right in its sole and unlimited discretion at any time prior to, during, or even after the close of the auction to exclude any person or individual bid and to award any lot to the highest accepted bid. ASI3 LLC reserves the right to withdraw any lot at any time before, during, or after the auction without liability. • On the fall of the auctioneer's hammer (or expiration of time in an online auction), ownership of the offered lot will pass to the highest bidder acknowledged by the auctioneer, subject to fulfillment by such bidder, of all the conditions set forth herein, and such bidder thereupon, a) assumes full risk and responsibility thereof, but not limited to, insurance, fire, theft, removal and storage or damage from any and all causes, and b) will pay the full Purchase Price thereof or such part as we may require. In addition to other remedies available to us by law, we reserve the right to impose a late charge of 1.5% per month of the total Purchase Price if payment is not made in accordance with the conditions set forth herein. If any applicable conditions herein are not complied with by the purchaser, in addition to other remedies available to us and the consignor by law, including, without limitation, the right to hold the purchaser liable for the total Purchase Price, we at our option may, a) cancel the sale, retaining all payments made by the purchaser, b) resell the property at public auction with or without reserve, and the purchaser will be liable for any deficiency costs including handling charges, the expenses of both sales, our commissions on both sales at our regular rates, reasonable attorney's fees, incidental damages, and all other charges due hereunder, c) reject future bids from the buyer or render such bids subject to payment of a deposit, d) charge interest at 18% per annum from the date payment became due until the date the Purchase Price is received in cleared funds, e) subject to notification of the buyer, exercise a lien over any of the buyer’s property which is in the possession of ASI3 LLC and no earlier than 30 days from the date of such notice, arrange the sale of such property and apply the proceeds to the amount owed to ASI3 LLC or any of our affiliated companies after the deduction from sale proceeds of our standard commission rates and sale-related expenses, f) commence legal proceedings to recover the Purchase Price, together with interest and the costs of such proceedings, g) set off the outstanding amount remaining unpaid by the buyer against any amounts which ASI3 LLC, or our affiliated companies, may owe the buyer in any other transactions, or h) take such other action as we deem necessary or appropriate. In the event that such a buyer pays a portion of the Purchase Price for any or all lots purchased, ASI3 LLC shall apply the payment received to such lot or lots that ASI3 LLC, in its sole discretion deems appropriate. In the case of default, purchaser shall be liable for legal fees, costs and expenses associated with an attempted collection of payment from purchaser. In addition, a defaulting purchaser will be deemed to have granted us a security interest in, and we may retain as collateral security for such purchaser's obligations to us, any property in our possession owned by such purchaser. Furthermore, in the event that a purchaser fails to make any payments under these terms and conditions, a 18% charge as liquidated damages will be administered as described in Section 9. We hereby reserve the right to report such non-payment to credit and collection agencies in our sole discretion. • ASI3 LLC, and any consignors, reserve the right to bid on any lot(s). Unless explicitly stated otherwise, all lots are subject to a reserve price that shall be hidden from all bidders. ASI3 LLC shall act to protect the reserve by bidding in the auction process if needed. ASI3 LLC may open bidding on any lot below the reserve by placing its own bid. ASI3 LLC may continue to bid on behalf of itself up to the amount of the reserve, either by placing consecutive bids or by placing bids in response to other bidders. • If any dispute occurs between a bidder and ASI3 LLC that cannot be resolved, then the parties agree to the rules, regulations and procedures of the dispute resolution described herein and agree to the following procedures for resolution of the dispute: If either party alleges that the other party is in default under this agreement, then the dispute or allegation shall be submitted to binding arbitration in the State of Florida. ASI3 LLC shall select a neutral arbitrator. The arbitration process shall be initiated by either party requesting arbitration which must be served upon the other party by certified mail. Failure to participate in the arbitration is a default. In the event that an arbitration procedure is initiated by request of a bidder, the bidder shall bear the financial burden of fees to be paid to an arbitrator to that maximum amount available by law. Each party shall simply present their case (limited to a maximum of one hour for each party) to the arbitrator. By bidding on any lot, the bidder hereby agrees and acknowledges that it is completely waiving its rights to have the dispute heard in a court of law. The bidder agrees that the arbitrator shall have complete jurisdiction over the dispute and can issue an award to the prevailing party. Arbitration fees shall be paid by the party prevailing in the dispute or as seen fit by the arbitrator. Any award determined by the arbitrator shall be binding and the prevailing party shall be awarded full reimbursement of its actual paid fees in connection with the dispute. By participating in an ASI3 LLC auction, bidder specifically agrees to the dispute resolution specified in the foregoing paragraph as bidder's SOLE means to resolve any and all disputes which may arise with ASI3 LLC. By doing so bidder specifically agrees that bidder will not file a dispute of any kind with an online venue, a credit card, or any other third-parties. Bidder specifically waives the right to initiating a credit card chargeback dispute on any basis of claim and agrees that bidder will pay ASI3 LLC a minimum of $250 plus hourly charges and costs for any such chargeback dispute opened, due to the severe administrative burden of such disputes and their direct violation of the dispute provisions above. In the event that Bidder violates this dispute resolution provisions, in consideration of ASI3 LLC approval of the application of the bidder to bid in ASI3 LLC auction, bidder confesses judgment to fraud having been committed by bidder against ASI3 LLC and further agrees that bidder is liable to ASI3 LLC for all damages, losses and costs, including time charges, resulting. • The bidder hereby waives, releases, remises, acquits, and forever discharges ASI3 LLC and any consignor, and shall indemnify and hold them harmless against any claims, actions, cause of action, demands, rights, damages, costs, expenses, or compensation whatsoever, direct or indirect, known or unknown, foreseen or unforeseen, which the bidder now has or which may arise in the future on the account of or in any way growing out of or connected with any defects, latent or otherwise, or the physical condition of any items or lots purchased or any law or regulation applicable thereto. ASI3 LLC or consignor shall provide notice to bidder promptly of any such claim, suit, or proceeding. • If any provision of these terms and conditions or of any listing be void, unlawful or unenforceable under applicable law, that provision shall be modified to the minimum extent possible to comply with applicable law, or if modification is not possible, deleted and severed from the remaining provisions. Any such modification, deletion or severing shall not affect the enforceability or validity of any of the remaining provisions. • These terms and conditions, the contents of any listing and the contractual relationship between ASI3 LLC and any bidder shall be interpreted under and governed by the laws of the State of Florida.